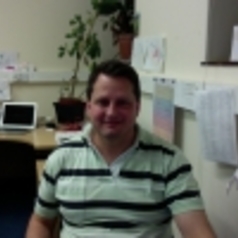 Dr Murilo S. Baptista is a reader at the University of Aberdeen (since 2014), having joined this University in 2009 as a Senior Lecturer. Before joining UoA, he has worked as a postdoc at the University of Maryland (USA), 1997-1999, the University of São Paulo (Brazil), 1999-2003, the University of Potsdam (Germany), 2004-2006, as a guest scientist in the Max-Planck-Institute for the Physics of Complex Systems (Germany), 2007-2008, and as a Guest Assistant Professor at the Centre for Applied Mathematics at the University of Oporto (Portugal), 2008-2009. He obtained his PhD from the University of São Paulo, Brazil, on the response of non-linear dynamical systems under external perturbations. One of his main current themes of research is related to unraveling the complex relationship among information, ergodic and dynamical quantifiers of behaviour, and the topology of complex networks and systems. The study of causality, observability and symbolic modeling are other thematic areas that he is also currently interested.